From the point of view of the attendees, the Helitech helicopter show, held from 16th-18th October 2018 in Amsterdam, seemed strangely calm. The number of visitors did not live up to the importance of this european event which should, however, find a second wind in 2019. 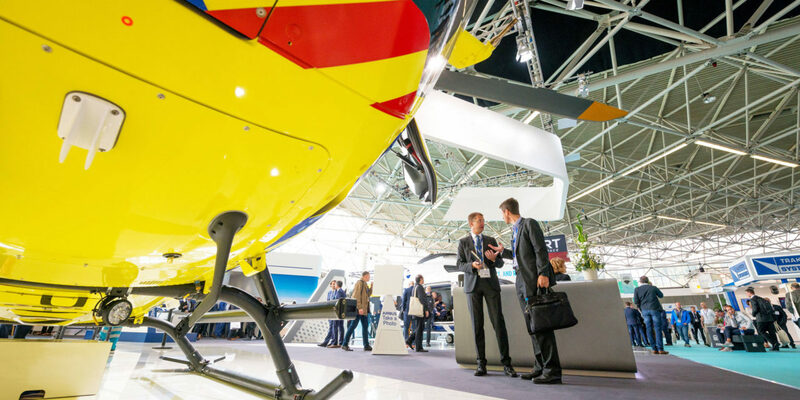 Without being catastrophic, this trade fair, organized under the auspices of the European Helicopter Association – EHA – brought together more than 150 exhibitors over three days and a little more than 2,800 visitors. 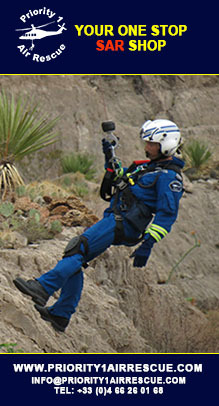 It seems, however, that over the years, the event has struggled to assemble numerous participants, contrary to the main helicopter exhibition, the Heli-Expo, organized by the HAI – Helicopter International Association – which takes place in United States every year at the beginning of each year. In fact, the organizers are counting on the renewal of this European fair which will take place in Farnborough in 2019 under a new name: Vertical Flight Expo Conference. 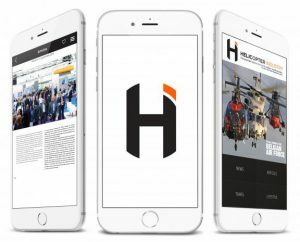 A second wind, desired by Reed Exhibitions, but with the BHA-British Helicopter Association – and not EHA as emphasized in a press release by the organizer: “We have been in talks with the EHA for many months but it is clear that both sides have a different vision of the future of the brand. That’s why we decided by mutual agreement that Reed Exhibitions will be solely responsible for managing the event from 2019, as we seek to broaden the mandate of the show by focusing on the proposal of an accessible place that offers more demonstration opportunities, a technological showcase and focus on increasing the number of operators.” It remains to be seen whether the professionals and especially the manufacturers will respond without the European association. If the organization says it wants to keep holding the event every other year in Farnborough and Amsterdam respectively, it also underlines that it will develop the idea, already present for the 2018 event, of holding conferences on various topics. The new event will also focus its attention on the development of a real static exhibition for tests. If the stakes of the future fair are still a little vague, the European market, although complex, remains strategic for the manufacturers. According to market forecasts published by Airbus Helicopters in December 2017, Europe will remain the third most important region in terms of rotary wing demand during the 2017-2036 period. Renewal or new aircraft acquisitions could lead to the delivery of 22,000 helicopters in the next 20 years. The European continent is expected to account for 18% of this market, just behind the United States (23%) and Asia Pacific (36%). Regarding the global market, 2018 has shown signs of recovery in terms of deliveries for the third consecutive year. Thus, for the first nine months of the year, the GAMA – General Aviation Manufacturer Association – indicates that deliveries of rotary wings pistons are up 15.8% compared to 2017. On the turbine side, 510 aircraft were delivered since the beginning of the year, an increase of 8.3% compared to 2017. In total, the first three quarters of the year showed 730 aircraft starting to be operated against 661 in 2017 during the same period, an increase of 10.4%. In the civilian sector, the Robinson R44 remains by far the most delivered aircraft with 161 deliveries in the first nine months, ahead of the Bell 505 (91) and the H125 of Airbus Helicopters (86). On the military side, Sikorsky has been leading deliveries since the beginning of the year, with the launch of 78 Black Hawk / Seahawk, far ahead of Bell with 40 aircraft (H-1 and V-22). Helitech 2018 was also an opportunity to take stock of the offshore market. The fall in the price of oil in 2016 led to market overcapacity. The overflow of available aircraft has indeed forced all operators to postpone or cancel their orders resulting in the filing of bankruptcy of some of them. For now, the segment still does not seem to be fully recovered, the oil suppliers are still facing a barrel price too low to endorse new commercial prospection. In fact, according to the analysis conducted by Flight Ascend Consultancy and presented during Helitech, we learn that a hundred H225 machines have been removed from active service. In addition to being cyclical, this withdrawal also follows the accident of an aircraft of this type in the North Sea in April 2016. The timid resumption of flight hours in this segment of activity does not allow for now mean that orders are going to be coming in anytime soon, and operators are choosing to optimize the use of their fleet instead. 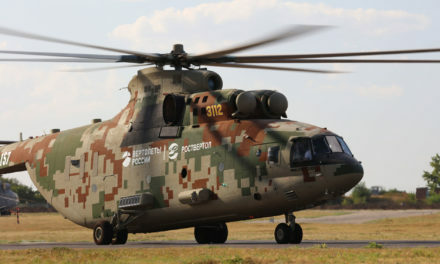 On the aircraft side, the study shows, besides the known H225 difficulties in this sector, that the Sikorsky S-92 fleet is suffering from high operational cost due to its under-exploitation and as such, its residual value is declining. In fact, the Sikorsky aircraft is expected to gradually disappear from the sector during the next fleet reshuffle among operators. Only the AW139 and its “versatility” seem to be doing well in this “oil & gas” sector since it has seen its listing rise in the rental market. During the event, Patrick Moulay, Executive Director of International Sales for Bell, confirmed the importance of the European market for the helicopter manufacturer. The latter indeed has 230 orders on the old continent, far ahead of the United States (150), including the 505 model already in service in 10 countries in Europe including Great Britain, Germany and France. The mono-turbine is attracting new customers, whether they own R44s and EC120s, or they want to replace part of the H125 fleet. 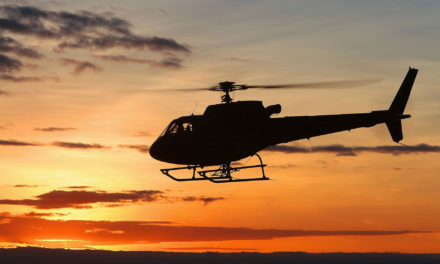 In addition to corporate missions, and its proprietary use, the Bell 505 should indeed also meet the needs of many aerial work operators thanks to its cargo capacity, for which certification should occur at the beginning of 2019. The manufacturer also mentioned the 525. The “Recentless” will indeed enter the final certification phase with the arrival of the fifth aircraft in the first quarter of 2019. Bell plans to receive certification from the FAA – Federal Aviation Administration – of its twin-engine at the end of the year 2019 and from the EASA – European Aviation Safety Agency – at the beginning of the year 2020. The aircraft which is intended at first in the “offshore” and VIP sectors, is also planned to enter the SAR – Search & Rescue – market by 2021-2022 and the military market afterwards. Kopter Group has presented during the event the first prototype (P1) of the SH09 with the livery of its launch customer SAS Malaysia, and made a point on the progress of the program. The helicopter manufacturer, who confirmed 70 firm orders and 100 letters of intent, flew its third prototype (P3) just a few weeks after the Amsterdam show. The aircraft , which will undergo its first flight tests in Switzerland and will be later transferred to Sicily, for weather reasons, to maintain the progress of the program. This relocation should indeed allow the aircraft to perform an average of ten hours of flight per week and meet the deadlines for certification. 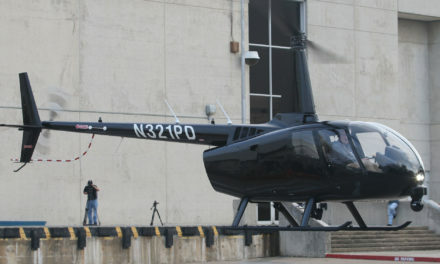 The P3 flights with the third prototype A new rotor head, new blades and new materials for the cabin will be tested in flight with the P3. In addition to testing the P3 Moreover, Kopter says it is finalizing the finishes of the pre-serie aircraft number 4 (PS04) The latter which should however take to the air fly only after any modifications resulting from the P3 flights analysis on the P3 to correct any problems. The PS04 is expected to serve as a final phase aircraft for European and EASA certification and, shortly thereafter, for US validation (FAA). On the production side, Kopter expects a rise in cadence progresses with four aircraft the first year, 18 in the second and 42 during the third year. With the ramp-up of its program and the upcoming commissioning of its multi-role helicopter, Kopter has announced a new distributor, Swiss Helikopter Norway AS, for Scandinavia, Finland, Iceland and Greenland. In order to maintain the SH09 delivery slots available for the region and taking into account the ramp-up of firm orders, Swiss Helikopter Norway AS has at the same time confirmed its commitment to the region by obtaining four firm orders. These four pre-ordered SH09s will be available on the market from delivered in 2021. Swiss Helikopter Norway AS will benefit from the technical support of Helitrans AS, a Norwegian operator that was announced earlier this year at Heli-Expo in Las Vegas as a SH09 launch customer after ordering 12 units and 6 options. During Helitech, Airbus unveiled the progress of its European-funded Racer Demonstrator Program (Rapid And Cost-Efficient Rotorcraft) as part of the Clean Sky 2 program. According to the helicopter manufacturer, production of the lateral drive shaft, one of the most important components of the Racer, was launched. 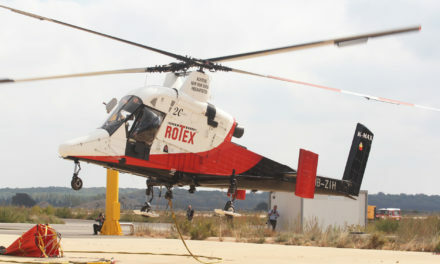 The update on the program has also enabled Airbus Helicopters to present the main partners of the project, Italian Avio Aero, for the transmissions side boxes of the unit, Integrated Systems, based in Hamble in the United Kingdom, for the titanium cradle of the wing and the Romanian company INCAS / Romaero for the manufacture of the composite side panel. The Spanish company Aernnova has announced that it has begun manufacturing the primary structure of the tail parts. The first flight tests of the Racer are expected to begin in 2020 and will include approximately 200 flight hours. The first part will focus on the gradual opening of the flight envelope and the evaluation of the main performance objectives as well as speed, handling qualities, stability and aerodynamics. The second phase will aim to demonstrate the ability of the concept to carry out potential missions for which increased speed and efficiency would bring significant added value, such as Emergency Medical Services (EMS), Search and Rescue (SAR) and private transportation. This second phase of flight tests will also allow the development of silent flight procedures specific to the Racer demonstrator formula in order to meet specifically with the Clean Sky 2 criteria in particular. Enstrom Helicopter Corp signed a contract on 17th October 2018 for the delivery of a new 280FX in France. The transaction was carried out by their dealer, François Gatineau, CEO of Rotor & Aircraft Sarl. The aircraft will be delivered in the spring of 2019, and will be operated by the Golf Tango company based in Toussus le Noble. The SAF civilian operator, based in the French Alps, has ordered from Airbus Helicopters six new aircraft for emergency medical services (EMS), mountain rescue, aerial work and passenger transport. This order relates to three single light helicopters and three twin light helicopters that will be operated in mainland France and on Reunion Island, where SAF recently acquired Hélilagon. Delivery of the six aircraft is scheduled for 2019. 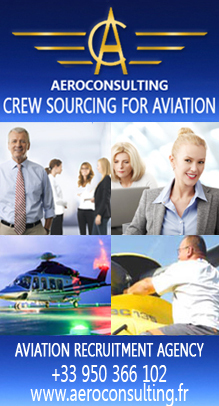 In addition to its announcements on the European market, Bell Helicopter has announced the launch of Certified Training Facilities (CTFs) – to expand its global offering in this segment. Centers such as Helideal, Bell’s independent representative based in the south of France, will provide initial and periodic pilot training under the auspices of the Bell Training Academy. “The Bell 505 has been a global success for Bell, but with the Bell 505 ramping up in the market, we need to focus on delivering local training solutions to our global customer base throughout the aircraft’s lifecycle, and the centers will play a key role in doing this” says Patrick Moulay. 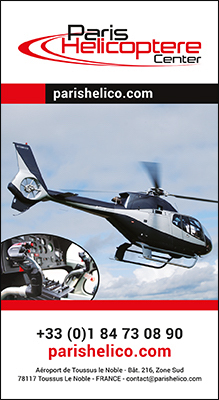 The Bell 505 Training Offer will be available at Helideal from early January 2019. Helitrans, a Norwegian helicopter operator, announced at the show that it has acquired four Airbus H125 helicopters to meet the wide range of missions covering power line construction and firefighting, as well as sightseeing tours, photo shoots and reindeer herding. The four new aircraft will be delivered in the spring of 2019. Lease Corporation International -LCI-, the aviation division of the Libra group, has completed the transition from a Leonardo AW139 helicopter to Elitaliana in Italy at Helitech. The helicopter, which is being converted for emergency medical evacuation operations, is the second of its kind operated by Elitaliana. It enters service alongside three AW169 helicopters delivered by LCI in 2016, 2017 and 2018, operating from Elitaliana bases in Roma and the Lazio region. The AW139 was transported from Malaysia to Italy following a long-term lease between LCI and Westar Aviation Services (“Weststar”) – an offshore helicopter operator in South East Asia. During Helitech, Airbus Helicopters and DRF Luftrettung have signed a contract for the delivery of three H145s in 2019. This will bring to 17 the number of H145s of the German Helicopter Emergency Medical Services (HEMS), which will make it one of the most important H145 operators in the world. DRF Luftrettung is one of the largest medical and sanitary evacuation operators in Germany. 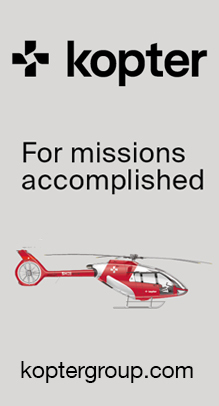 The organization operates more than 50 Airbus helicopters on 31 bases in Germany and Austria for emergency rescue and intensive care, including winching and rescue operations. DRF Luftrettung was the launch customer of the H145 in 2014, having so far 14 H145s in operation. Safran Helicopter Engines has announced the enhancement of its Support-By-the-Hour (SBH) service line, created to provide a full “pay per hour” service. The SBHs service now covers the full range of customer profiles: SBH 5Star for civil operators with up to five aircraft, SBH Classic for fleets of more than six aircraft and SBH M. for military users. 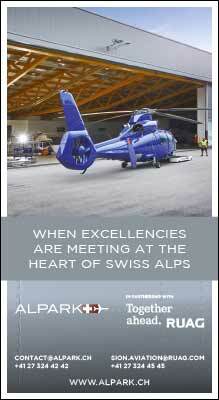 As mentioned above, SBH is an hourly maintenance service for helicopter engines produced by Safran. This program has been continuously updated and now covers 40% of the turbine flight hours of its customers. 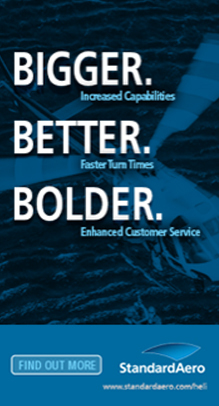 “Over the past year, 100 customers have subscribed to one of our SBH contracts,” said Frédéric Bugeon, Commercial and Marketing Director at Safran Helicopter Engines. The return of single-engine public transport in Europe?